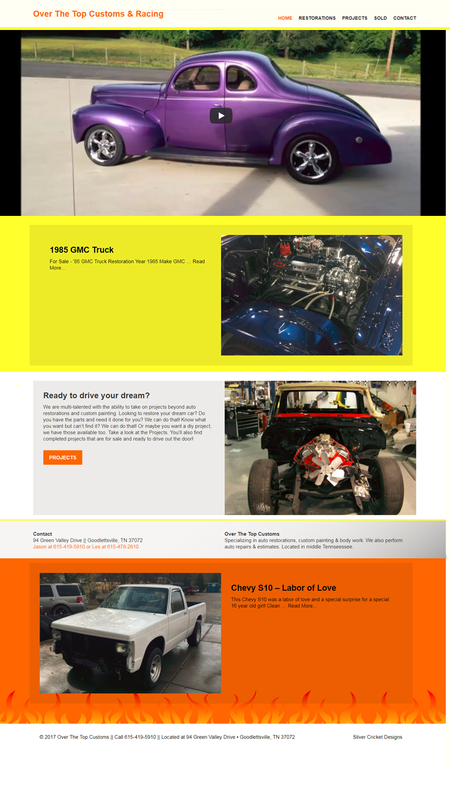 Over The Top Customs needed a mobile friendly custom website showcasing their custom vehicle restoration. This family owned business, based out of middle Tennessee, needed to get their message out. When we first met them they had a one page website that was not showing all the services they offered. OTTC of Tennessee offers their clients all out car custom restorations, project cars, custom painting, completed restored cars for sale and more. Now their able to show-off and advertise their abilities. Go ahead and check them out, but beware, you might find a car you like!